Delta Fire Department responded to a pair of house fires in the early morning of Sept. 13. It's still unknown if the fires are related. Emergency crews were called to the 7500-block Scott Road at around 4:00 a.m. for a fire at a vacant house. Emergency crews had a busy morning, responding to two house fires in North Delta. Delta Fire and Delta Police were called to the 7500 block of Scott Road at around 4:00 a.m. this morning to tackle a fire at a vacant house. Then, at around 5:15 a.m., crews responded to another fire on the 7000 block of Nicholson Road, just behind Scottsdale Mall. The second house was vacant as well. Police say the investigation into the first fire is still in the early stages, but the fire appears to be accidental and is believed to have been set by squatters. The house was the subject of a demolition permit after an application was submitted to the Corporation of Delta. Investigators are no longer on the scene. Based on their initial investigation, police say the second fire appears to have started on the upper floor, therefore causing significant damage to the house. 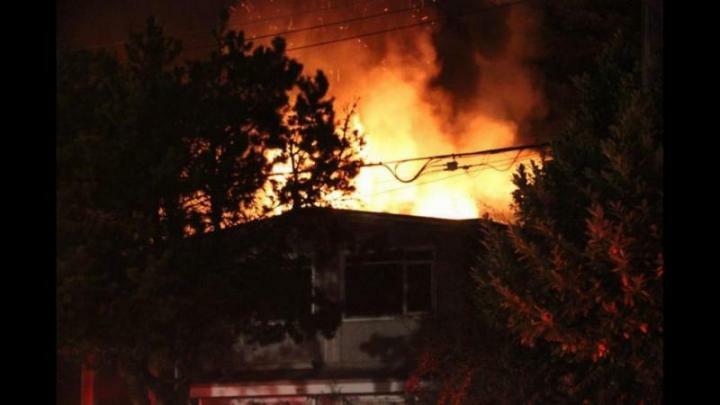 Delta Police have dealt with squatters at this residence in the past, however, investigators do not know if there were any people in the house at the time the fire started. DPD Major Crime investigators remain on scene at the second residence. There were no injuries in either house fire and police say it is too early to determine any connection between them.